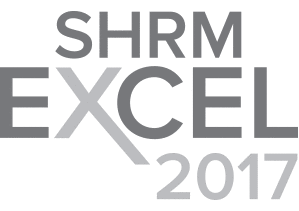 LWHRA is recognized by SHRM to offer Professional Development Credits (PDCs) for the SHRM-CP or SHRM-SCP. For more information, visit the SHRM certification website at www.shrmcertification.org. Registration is now closed. Walk-ins are not guaranteed at this time. 2018 Legal Update: The Year of Less, Equal & More! In this one-hour session Jodi Slavik, Employment Attorney and Strategic Services Director, Vigilant will provide a comprehensive review of employment law developments in 2018, including court decisions, agency rulemaking, state laws, and relevant local ordinances. The class is designed for business owners, HR professionals, payroll and benefits experts, attorneys, and other consultants. Jodi proudly provides counsel to Washington State businesses on employment issues, including training of HR professionals, managers, supervisors, and employees on a range of liability and leadership issues. As Vigilant’s Strategic Services Director, Jodi is also responsible for stability and growth of major accounts in Washington and Idaho, as well as ensuring unparalleled service for Vigilant member companies. From now through December 11, 2018, we are asking HR professionals to participate in a food donation drive to benefit Northwest Harvest. Anyone participating in the November Chapter Meeting or the December Chapter Meeting is invited to make a monetary donation or a food donation. We thank you all for your generosity. Suggested food donations include cans—especially those low in salt, sugar, and saturated fats—of fruits, vegetables, and stews, peanut butter, shelf-stable milk, whole grain pasta, baby food and formulas, and infant cereal. NW Harvest also accepts donations of baby diapers. Learn more at the about donations.